Chem-Dry vs. 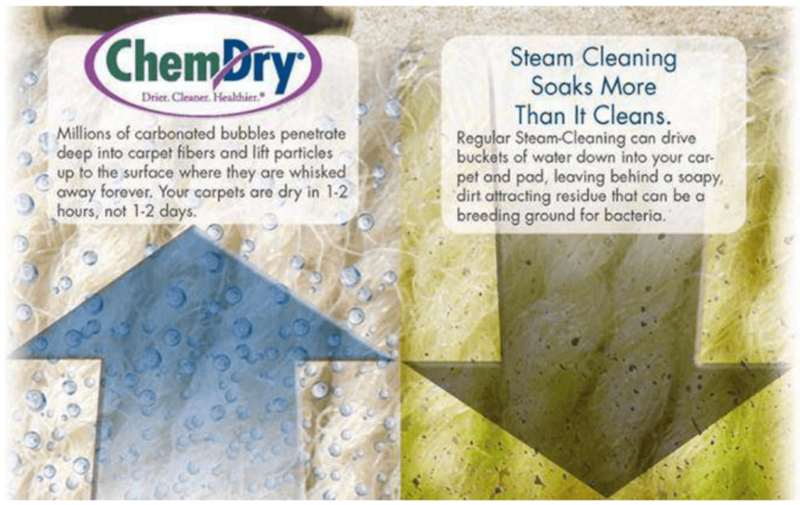 Steam Cleaning | Why is Chem-Dry Better? Call Terrapin Chem-Dry at (301) 476-9013 for more information about our service compared to steam cleaning and DIY rental machines. It’s important to understand the difference between carpet cleaning choices before you schedule an appointment. Terrapin Chem-Dry offers a much different, better service than steam cleaning or carpet shampooers. Terrapin Chem-Dry Copyright © 2019.